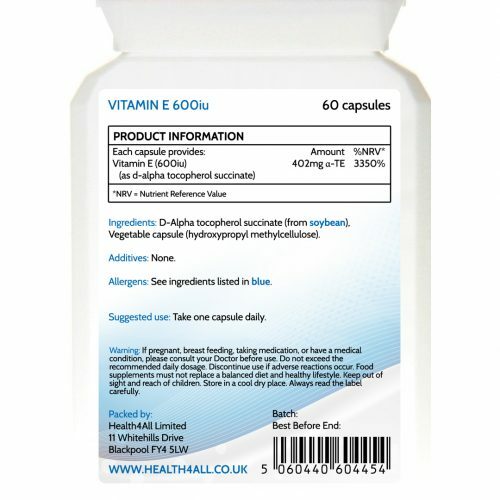 Take one capsule per day or as directed by your medical advisor. D-alpha tocopherol succinate (from Soybean), Vegetable HPMC capsule. 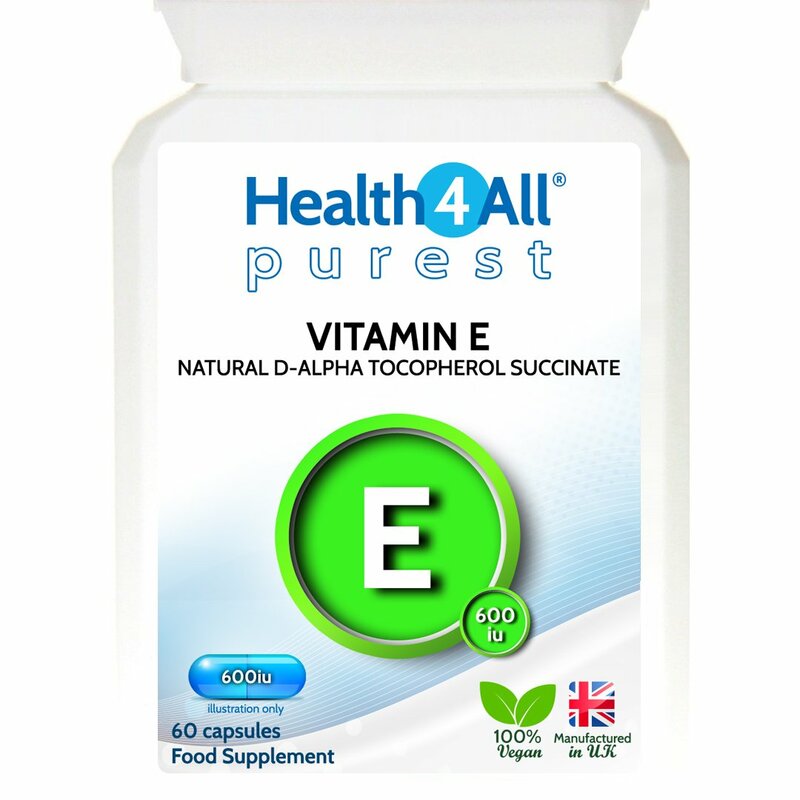 Vitamin E, also known as tocopherol, is an essential fat-soluble vitamin and a leading antioxidant. It protects the body from oxidation – a normal aging process by which oxygen breaks down your body’s tissues. 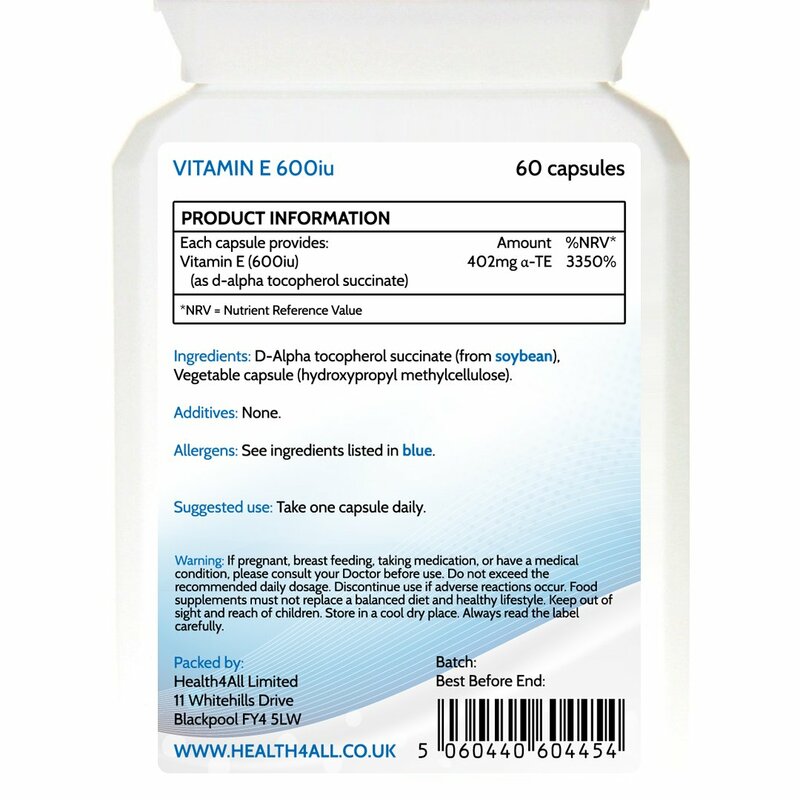 Our softgels provide high amount of Vitamin E – only one softgel per day provides over 3300% NRV (Nutrient Reference Value).